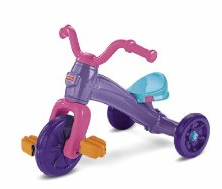 Fisher Price Grow With Me Trike is only $9.99 (org. $29.99) and ships free with Amazon Prime. Upgrade to 2 day shipping for free with Amazon Prime. This is a great deal for this bike at 67% off. Littlest Pet Shop Carry Case Now Only $9.99 – Price Reduced Even More!